Taken near Ellington Air Base as I was waiting for the B-52 to take-off after the Wings Over Houston Air Show. After I took the photo, I thought to myself,"What in the world would I ever use that shot for?" Then along comes the alphabet challenge! Oh yes - we sure see a lot of this all over our area. And, you found an amazing use for this shot! Way to go! Great W! We see this so often, yet never think to photograph! Great idea for W. Didn't think of Work as a possibility. Good use for this 'work' shot! 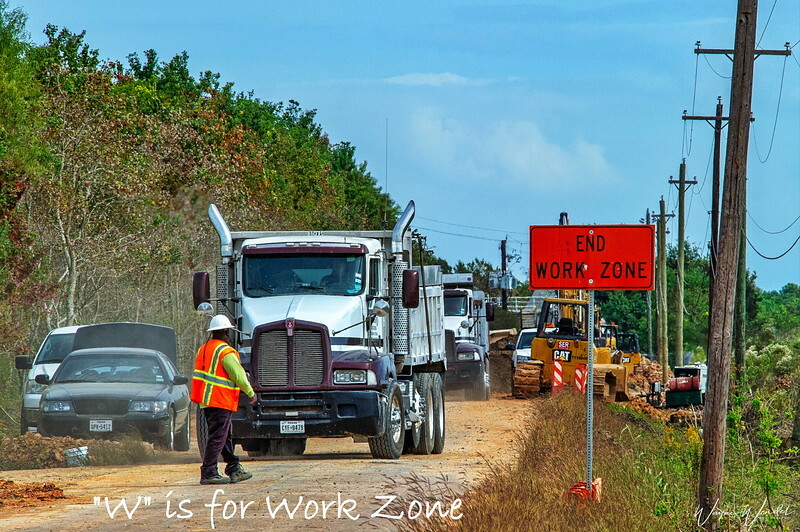 Definitely a busy Work zone! Nice W shot. Nice W shot -- a great annoyance for a lot of folks.